O-1B visa is issued to people who have shown extraordinary abilities in fields such as film or television industry or in the arts. The O visas are a group of U.S non-immigrant visas designed to assist citizens of other countries who have extraordinary abilities, their assistants, and dependents come to the U.S to work. These U.S work visas allow people who have high achievements and education find a job in the U.S and then come to work here for a period of time. Furthermore, the O-1 visa has within it two other types of visas, depending on the occupation and industry that the applicant is in. This article will focus on the O-1B visa, its requirements, application process and other important details for those who are planning to apply. 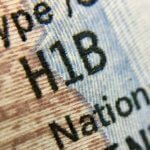 What is the O-1B visa? The O-1B visa is a U.S work visa designed to give those within the art, TV, and film industries a chance to showcase their talents and work in the U.S. The people who want to get the O-1B visa must show that they have extraordinary abilities, meaning that they have achieved something that recognizes them nationally or internationally in their industries. This means that their art, movie, or TV production has won awards, or that if the applicant has been in the background production, they have contributed to a great piece of work. The O-1B visa does not have a cap, so anyone who meets the requirements is free to find a job in the U.S and apply. The U.S Embassy considers each O-1B visa applicant as an individual case, so if you are part of an organization which has achieved recognition, you cannot claim the achievements for yourself, and so you do not qualify for this visa. The main part of initiating the O-1B visa application process is getting a job in the U.S. Your job must be related to your extraordinary abilities and achievements. You cannot be a great painter and work in a consultancy company. If you apply and your job is not related to your skills, then you will not be given the O-1B visa. A key difference between the O-1B visa and other work visas such as the H-1B visa is that the O-1B visa applicants must prove their extraordinary abilities. Those who want to get the H-1B visa only need to find a job in the U.S and an employer willing to sponsor them. 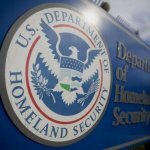 The O-1B visa applicants need to compile documents and proof that show the U.S authorities that they possess high skills and have gained high achievements. What are the requirements of the O-1B visa? If you have won an award, then you automatically qualify for the O-1B visa; however, since not many people have had that achievement, fulfilling the other requirements is enough proof to have your case accepted. How to apply for the O-1B visa? To apply for the O-1B visa, you need to first find a job in the U.S within the industries of art, film, or TV. Your visa application is then initiated by your employer. Your employer and you must follow these steps. Your employer must start the procedure by filing Form I-129, Petition for Nonimmigrant Worker to the U.S Citizenship and Immigration Services (USCIS). This petition is the main form for most non-immigrant work visas. Your employer must file this form at least 45 days before you are scheduled to start your work. They also must pay a fee of $460. In addition to the form, they must also submit any proof that you have the extraordinary abilities in art, TV, or film industry. So they must prove that you fulfill the requirements above. After USCIS gets the petition, they will review it and give a response. If your case is approved, you and your employer will get Form I-797, Notice of Action, and then you as the applicant can start your application for the O-1B visa. Form DS-160 or Online Nonimmigrant Visa Application is the form that all applicants for U.S nonimmigrant visas fill. The application will require you to put your information and your purpose of visit there. At the end, when you have finished the form, you will get a conformation code that you will use later on in the application process. The O-1B visa cost for the application is $190. Besides the application fee, you might also have to pay other fees depending on your country of residence. After you have paid all the necessary fees, make sure you get the receipts as you will need proof that you have paid them. All applicants between 14 and 79 years old must go through an interview with the U.S Embassy when they apply for a visa. That is why you must schedule your interview at the U.S Embassy where you are applying from. Try to schedule your interview as early as possible, since they might have a high workload and you could end up waiting a long time to complete the process. When you schedule your interview, you will get an interview confirmation letter which you need to bring with you to the Embassy. A photograph of you that complies to the USA visa Photo Requirements. The receipts that you have paid all fees. Proof that you have a job in the U.S (such as a letter from your employer, a contract, ). Proof that you have extraordinary abilities (this should be the same proof that your employer has handed in to USCIS). The last step in your application is for you to attend your interview at the scheduled date. Try to be on time and answer any questions that the U.S Embassy official asks you. Your interview will have a great impact on your application so be as precise as possible with your answers. How long is the O-1B visa processing time? After you have completed your visa interview, you must wait until the Embassy reviews your case. For the O-1B visa this can be from two to three months. After the wait time is over, the Embassy will let you know whether you got the visa or not. If you get the visa, then you can begin making travel arrangements. If you do not want to wait two to three months to get your response, then there is a way to speed up the process. For an additional $1,225, premium processing is available for the O-1B visa. Premium processing means that your visa will be processed within 15 days and you will know the answer much sooner. 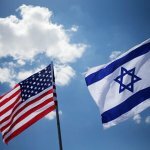 How long is the O-1B visa valid? The O-1B visa is initially approved for a period of 3 years. During these 3 years you can work for your employer, but also travel in and out of the country as many times as you need. As the 3-year threshold gets closer, if you want to stay in the U.S, you have to arrange with your employer to extend your time of work. If your employer has a reason of why you should continue working in the U.S for more than 3 years, then another petition must be filed. Your employer has to file a new Form I-129 and go through similar procedures to the application phase so that you can get an O-1B visa extension. If USCIS approves your extension, they will do so for only 1 year. The benefit of the O-1B visa is that you can get as many 1 year extensions as you are approved for, so there is no limit to how long you can stay in the U.S. If you want to change your employer, then your new employer must file a petition for you in USCIS, and if you want to work for more than one employer, all of your employers must file petitions to USCIS. 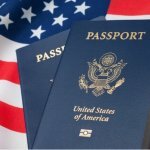 Can I get a Green Card from an O-1B visa? Since you are considered a person with an extraordinary ability, then you qualify for one of the categories of the Green Card. This is the EB-1 Green Card which is for people who have high achievements. So if you have a valid O-1B visa, you can go through the procedures of applying for this type of Green Card and have the chance to get permanent residence in the U.S.
Can I bring my dependents with an O-1B visa? Anyone who has an O-1B visa is qualified to bring their dependents with them in the U.S. The definition of dependents in the U.S means that only your spouse and your unmarried children under 21 years old are allowed to accompany you. They can do so by applying for an O-3 visa. The application for the O-3 visa can be done at the same time as your application for the O-1B visa, or after your visa has been approved. Since the O-3 visa is a dependents visa, your spouse and children are not allowed to work in the U.S. However, they are allowed to enroll in full or part time study. If your O-1B visa is close to expiration and your employer petitions for an extension, your dependents must also apply. Also, if you apply and are approved for the Green Card, then your dependents will get a Green Card too.